The all new IBEX series was designed for those who leave the chairlift behind and feel the best source of energy is human power. The IBEX series incorporates Elan’s TubeLite Woodcore, which reduces weight and improves efficiency while new Bridge Technology results in stable and secure descents with confidence. 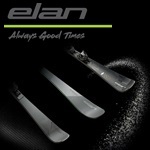 Up or down, Elan’s new adventure series sets the new standard in high performance touring skis. Uphill efficiency meets power and performance. Bridge technology reduces weight and provides torsional stability and unparalleled power transfer to the edges. 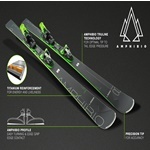 Innovative and unique 3D shape improves snow shedding and the wood core profile is reinforced with Vapor Tip inserts for smooth ride and further weight reduction. 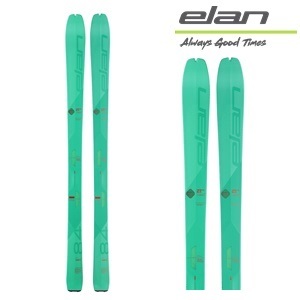 A strong, powerful ski with rebound and the best weight: performance ratio in the touring segment. BINDING: ION 12 Demo BLK.